I like to give you a general overview of my predisposition for a game before I get into the review so you know my biases (which we all have). In brief, Originz is a superhero combat card game. It's great grandfather is Magic the Gathering, but there are many differences that make it stand out. This was an exciting part of my childhood! 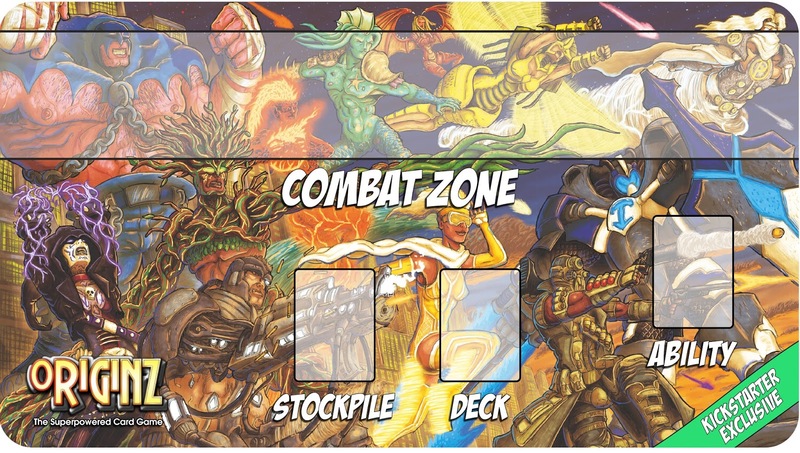 This game plays from 2 - 8 players and has lots of cool formats you can play all in one box. The mechanisms of Originz are pretty easy to pick up. Like most card games that have various abilities written on the cards, it can be a little bit tricky to begin with for new players. That however never lasts long and most people will get there heads around their character really quickly. If reading cards is not for you, go no further, but if you like options and tactics, please read on. The game play is pretty straight forward. 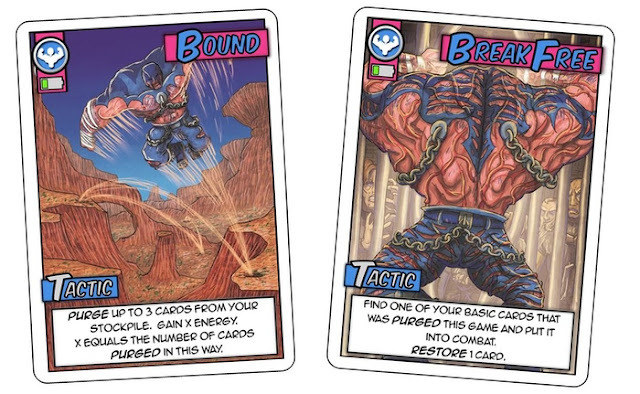 You have cards in your hand and each turn you get 3 energy to use preparing them (put them into play) or activating them (use a card already in play). The battery on the cards shows how much energy they cost to prepare and use. So X-Ray costs 1 to prep and then another 1 to use. Which means with 3 energy each round you have lots of choices about what to prep and what to use. What really makes this game stand out though are two things. The customization is immense. 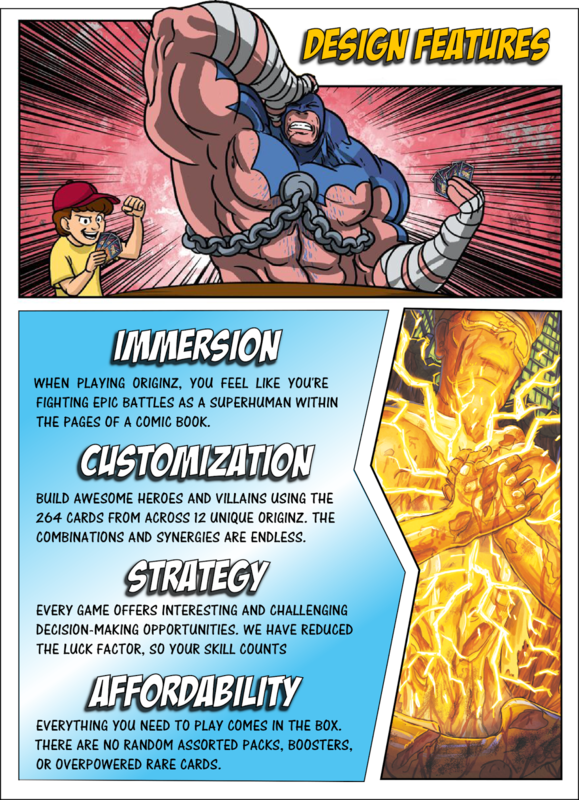 The game comes with 12 pre-made decks each of which focuses on one archetype from Super Strength (Hulk) & Insect Mutation (Spiderman) to Power Armour (Iron Man) & Ocean Mastery (Aqua man). The beautiful thing about this game however is that the cards are not character specific, but power specific, so you can build you own decks. I for one look forward to creating my favorite superheros and villains by mixing and matching powers in all sorts of combinations. The other thing that is interesting to me is the "Deck is your life" mechanic. As you draw more cards (which is optional) you weaken your self. Likewise, when you do damage you take options away from your opponent as there deck gets lower. 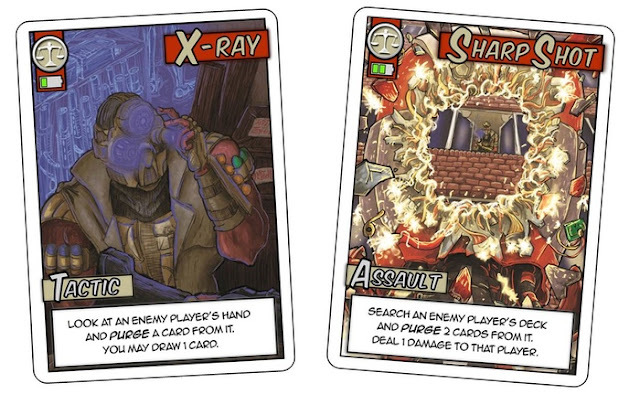 Cards that are activated are place back onto the bottom of your draw deck, so there is a real ebb and flow to the game. In Originz, you are a superhero or villain battling against others in single combat, team battle or other formats. As a rule, this game is dripping with theme and everything keeps you immersed. You really feel like your taking part in an epic superhero battle. There are few comic book themed games that pull off the theme as well as this one does. If there was one thing I would like to see changed before this game goes to print, it would be a thematic change. The discard pile in this game is currently called the "stockpile" and for the love of all things Super I can't understand why. I can't see past your deck being your "health" or "life" and your discard pile being your "Fatigue" or "Damage" or "Waste" or "Trash" pile... For me Stockpile sounds like your deck or a reserve. I have raised this with the publishers, but maybe it's just me? You get everything you need to play in one box, which for this type of game is a massive thing for me. 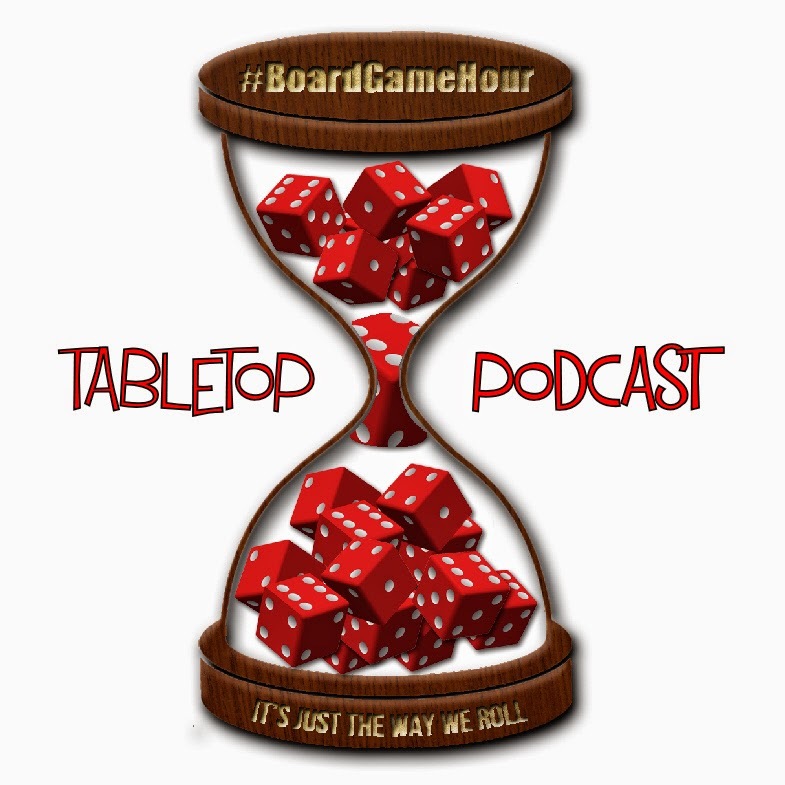 Expansions may be planned but they will be in line with expansions for normal board games, not the CCG/LCG business models. There is very little to get wrong with this format as its just lots and lot of cards. There can only be two issues, artwork and graphic design but in this case both of these have been done very well. The artwork is really nice (which is one of the things that sold me on this game) and the cards look great. There is not a ton of iconography so the learning curve is only based on reading the cards and understanding key terms. With the way it has been designed, there is so much room for it to grow and become an iconic game! The 12 Originz that are in the base game cover load of hero types you will want, but the room to expand is not lost on me. Lots of effort has been put into this game to make it accessible but still really interesting. The creators are keen to have Originz be a game you can play with your family, and to an extent they have got there. Having said that, for me cards that have lots of text and options don't go down well with complete newbies or children. Even if they can read and understand the cards, they are likely to be overwhelmed with the choices. If you like comic books or superheros back this right now... 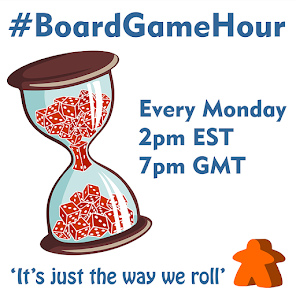 If you like card games of any sort, back this now. If your group or family likes conflict this is a great game to start the night with or have as a big main event. As I told you at the start, this theme is an easy sell to me if done right. I love superheros and I love card games. 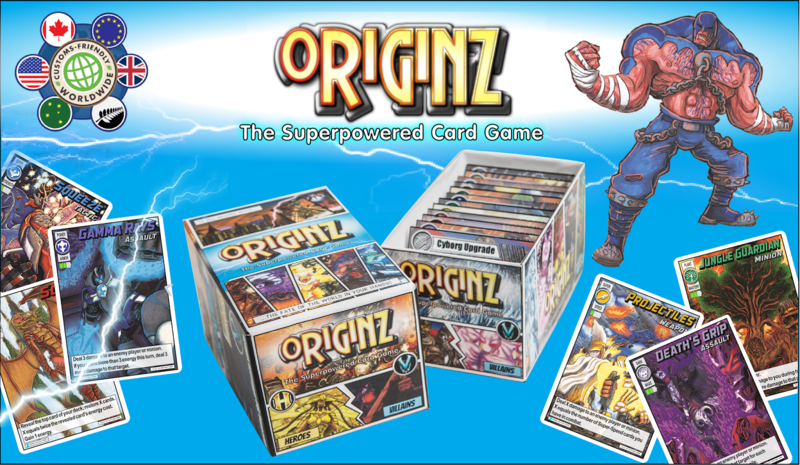 Originz has removed the CCG issues I have with other card battle games and really gets to grips with the comic book theme well. It is clear that lots of time and effort has gone into balancing this game but allowing players to feel like they have loads of options and flavour in there hands. This campaign is almost over, so get in there and check it out now cause I want more upgrades and cards unlocked lol.